The start of the new school year usually means a mad rush to buy supplies, attempts to adjust sleep schedules and last-minute efforts to get in some summer learning. A lot has been written about the best ways to get ready for back to school, including posts on our blog, so this summer we decided to go straight to the source and ask parents and kids themselves. 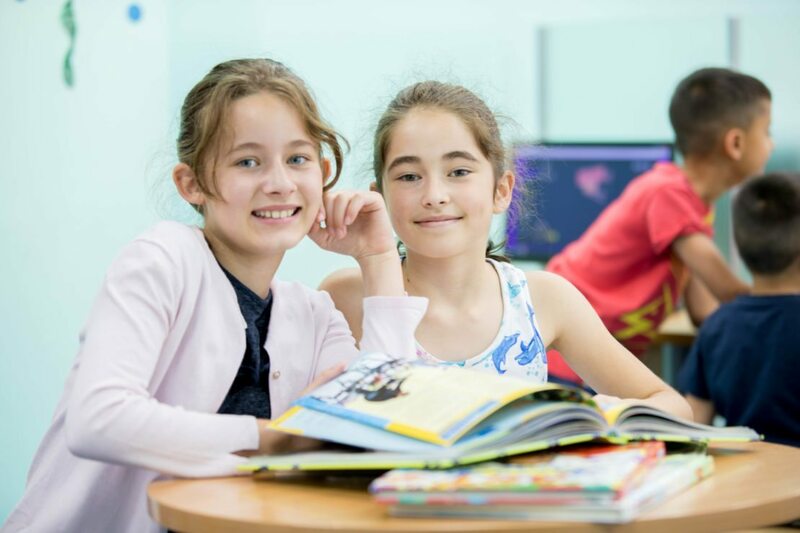 We wanted to know what Explore Horizons students and parents really do to keep summer slide at bay, how they prepare for the frenzy of the new school year and how they approach summer learning on their own and with our classes. We were really encouraged with the results we saw from the 275 Explore Horizons students and parents surveyed- take a look for yourself at some of the top findings from our survey. Our students love math. 46% of Explore students say math is their favorite subject while only 25% said science, 10% said social studies and 9% said language arts. Kids also think practicing math problems (36%), going to bed early (35%) and buying school supplies (33%) are the best ways to get ready to go back to school. If your child is one of the math enthusiasts, check out our Young Mathematicians’ Awards this fall for an extra opportunity for them to practice and compete. Most kids did something educational a couple times a week this summer and parents backed up their claims. 50% of kids read on their own some days, 44% of kids wrote some days and 41% of kids did math problems some days this summer. Encouragingly, 42% of parents say their child likes to continue to learn and is receptive to summer learning. “It was awesome. They taught me really well and helped me to know so many things I did not know before…I’m kind of looking forward to school.” wrote an anonymous student in the survey. We said it in our back to school blog and Explore parents confirmed: 78% of parents said getting a routine in place is the best way to help get their child back into the mode of the new school year after the long summer break. Parents and kids were on the same page as to what kids were most excited about in the new school year: seeing their friends. 71% of parents said that’s what their kids were most looking forward to and 45% of kids agreed. Second place? Parents and kids both said kids were looking forward to seeing their friends in the new school year. 55% of kids say Explore has helped them build new skills and 50% say it’s made them more confident with learning. Parents’ best method for staving off summer learning loss for their kids? 84% said summer leaning programs. When parents were asked to choose multiple options of how Explore Horizons has helped their kids, 66% said with retention of skills and concepts, 50% said new skills, 50% said confidence and 24% said motivation. “My child has continued to grow in her reading ability. This has encouraged her to explore new more challenging books which is exciting for, not only her, but us as well,” wrote an anonymous parent. Now that school is back in session, get your child involved with more learning with our Young Mathematicians’ Awards.